Look for it in stores this summer. Thanks to Jeff at Han's Hideout for the tip. Not a surprise to see this ship finally make it's way into the line. 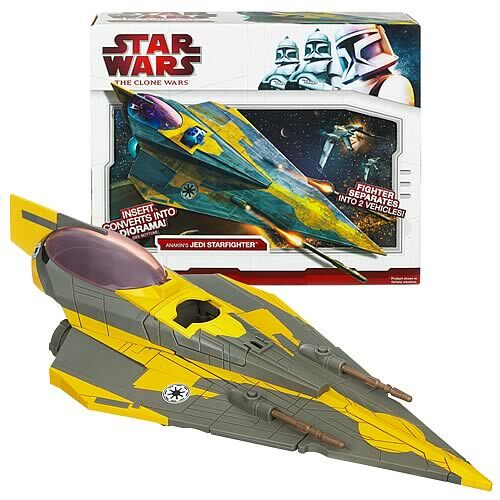 Even though I'm not much of a buyer when it comes to ship repaints, I'll probably grab this one (and probably Ahsoka's ship when they get around to that one too ). I'm with you too. I do quite like Ahsoka's fighter as the paint job gives the impression of the Jedi Order insignia on the top of it. Will definatley get Ahsoka's, not sure about Anakin's though. Do I smell unnecessary features? What are those small wings on both sides of the starfighter? Anyway, thanks for the pic. they are extra child things so they can get more money lol. Eh, not excited about this. Pass for sure. 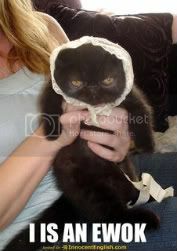 However, I would think that this is perfect for the kid market, so it makes sense. It's the same feature that the CW Obi-Wan JSF has. The JSF separates into 2 vehicles and 2 small wings fold out of the center section. Granted it's not canon, but its one of those features that adds more playability to it. Saw this today at Target, neat but I passed. 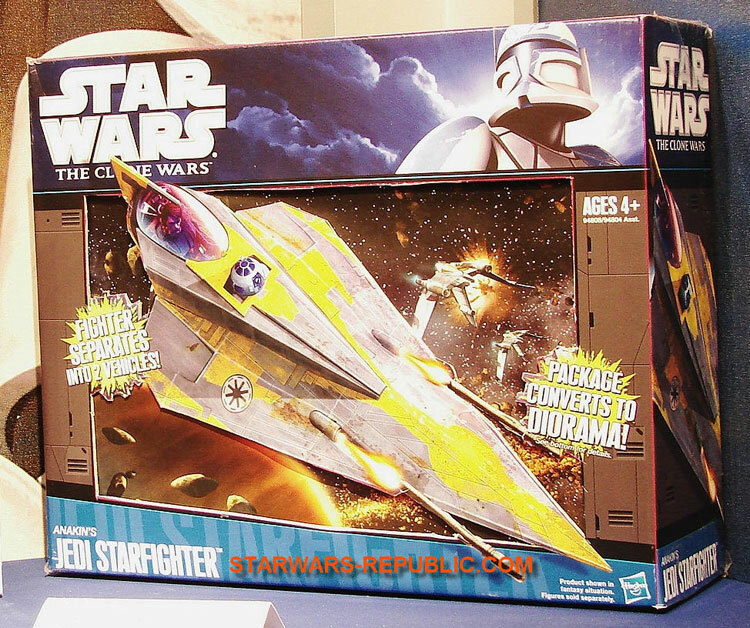 The kind folks at the German site starwars-republic.com were kind enough to pass on to us an image of the repackaged Anakin Skywalker's Jedi Starfighter. This new line is sure looking sharp! Very nice packaging for certain. If Hasbro actually makes the paint scheme on this more realistic, I might get it. But if it's shiny clean, I'll pass. how many episodes was Anakin's Delta 2 ship in? Grimace wrote: how many episodes was Anakin's Delta 2 ship in? It was in the movie and the Liberty on Ryloth episode as well.